Archaeologists working at an ancient Roman battlefield in Scotland have discovered a type of pierced sling-bullet that made a whistling sound when hurled at the enemy. These projectile weapons were hurled at attackers using a sling apparatus. Initial digs at the site of Burnswark Hill in Dumfriesshire yielded two types: Type I were large and lemon-shaped, while Type II were smaller and acorn-shaped. Recently, an archaeological team led by John Reid of the Trimontium Trust discovered a third kind of missile, dubbed Type III. This newly discovered, oblong-shaped projectile was characteristically different than the other two by virtue of a single hole drilled into one side. The purpose of these holes wasn’t immediately obvious. For one, drilling holes into cast lead is labour intensive and time-consuming. Why would the Romans go to all the trouble given that these things would likely be lost anyway? What’s more, the reduced weight meant that the balls would cause less damage when they struck the enemy; each bullet only weighed 30 grams. Reid figured that the holes might have been used to deliver poison, but this theory seemed unlikely given that these projectiles (probably) weren’t able to pierce the skin. 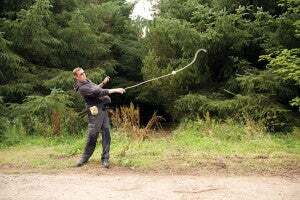 Reid’s brother, a keen fisherman, offered some insight into their possible purpose when he suggested the bullets were designed to make noise in flight. “Suddenly, a light bulb came on in my head — that’s what they’re about. They’re for making a noise,” Reid said. To prove it, the scientists tested replica bullets and slings. And indeed, the Type III projectiles made a definitive sound. 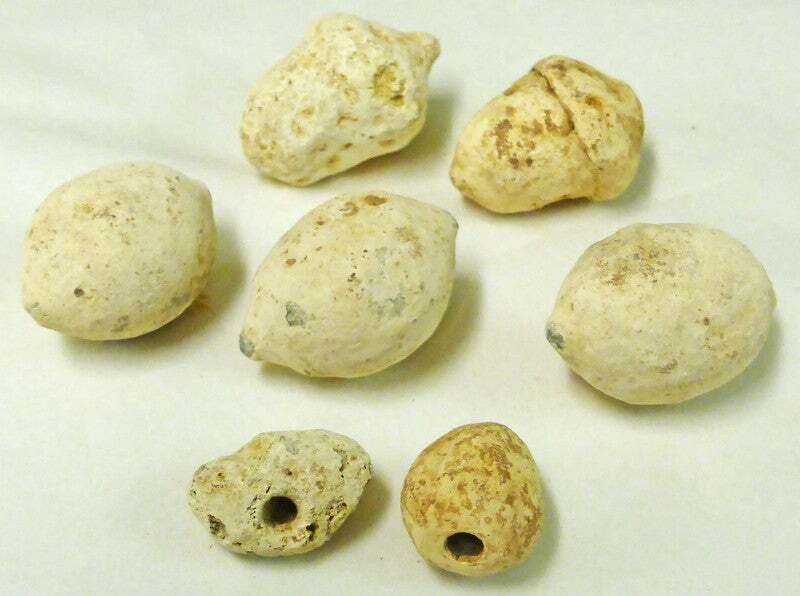 As Reid noted in Current Archaeology, “in flight, these lead shot whistled, or more accurately gave off a mechanical buzzing sound eerily reminiscent of an agitated wasp.” Moreover, the experiment showed that the sling-bullets could be thrown in small clusters of three or four. Now imagine dozens — or even hundreds — of these things flung at the same time. That would be truly horrific for those on the receiving end. These bullets were likely used by the Romans during an attack on the Burnswark Hill, probably as part of a military campaign ordered by Hadrian’s successor, the emperor Antoninus Pius, to take Scotland north of the wall. These whistling objects would have been flung at the natives in an all-out assault. Nevertheless, the Scottish tribes fought back for the better part of two decades, and the Romans eventually gave up and pulled their troops back to Hadrian’s Wall.